In 2000, I was part of a small team of philosophers and Buddhist adepts invited to spend a few days in Dharamsala, India talking with the 14th Dalai Lama about the topic of destructive emotions. Several prominent neuroscientists attending the meetings were hatching ways to study the effects of Buddhist meditation. Soon after, the press—more than the scientists themselves—began reporting that Buddhists were the happiest people in the world and that brain imaging had shown this to be so. As a philosopher of mind I was well positioned to critically examine the evidence. There were several important matters to discuss: Does Buddhism promise happiness, and if so what kind? Presumably it is not the familiar “happy-happy-joy-joy kick your heels” kind of happiness. It is not the Hugh Hefner kind of happiness. It is not the ephemeral happiness that comes from winning the lottery. Some say Buddhism offers no kind of happiness. It offers an end to suffering, which is very different. You have a headache. I give you aspirin. You are not suffering. But are you happy? In any case, is happiness important? Were Jesus, Confucius, Buddha, and Socrates happy? It seems an odd question. They each lived great lives. They mattered. Aristotle said that happiness is not the most important thing, meaning, purpose, and fulfillment are. According to Aristotle, one cannot tell whether an individual flourished or lived in a fulfilled and fulfilling way, until, after he is dead and gone, one sees how the grandchildren turn out. This means that flourishing, purpose, and meaning are not completely subjective, not located solely in the head, and thus not to be seen there on brain scans. It became clear to me that although American culture hypes happiness, it is generally of a shallow sort, and that no great spiritual tradition ever promises anything like that kind of happiness. Finally, insofar as Buddhism, Islam, Christianity, Hinduism, etc. offer ways to flourish, they are each somewhat different from the other, and the conception of flourishing on offer always involves a theory-specific type of morally-advanced relationship with other people, sentient beings, and/or the divine. Such relationships are not-in-the head. 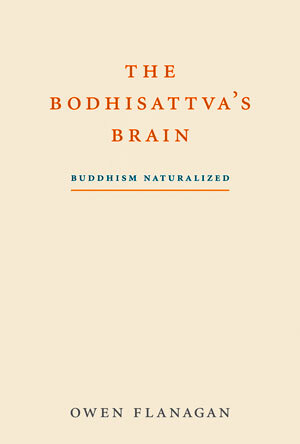 The upshot, wearing my philosopher of mind hat, is that there are a host of reasons to beware the hype about the connection between Buddhism and happiness, as well as the thought that neuroscience could vindicate the claims of one spiritual tradition relative to the competition. The second big question of the book has to do with whether Buddhism contains a philosophy that really could be attractive to 21st century secular humanists. This would require at a minimum that the theory was consistent with science and thus broadly naturalistic. If so, beliefs in karma, rebirth, and nirvana would have to go. Can there be Buddhism without these beliefs? It is not entirely different from the question of whether Christianity or Islam can be naturalized. Can one call oneself a Christian if one is agnostic about God the Father and believes that Jesus was simply an exemplary person? My answer for Buddhism is that if one subtracts the beliefs in karma, rebirth, and nirvana, what remains is a philosophy that should be attractive to contemporary analytic philosophers. “Buddhism naturalized” contains a powerful and credible metaphysics, epistemology, and ethics. The metaphysics is an event or process metaphysics. There are no things, only events that unfold in a great beginning-less unfolding. The self is one of the impermanent events, itself an unfolding process, not a permanent, immortal thing. 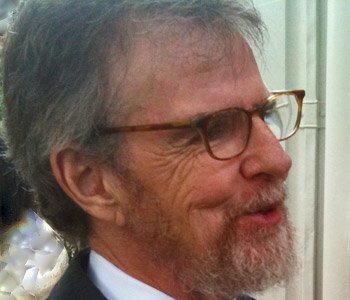 The epistemology is empiricist: experience first, then reason, and only then do we consult the “scriptures,” which are themselves fallible compilations of wisdom from previous experience. The ethics teaches that goodness comes from compassion and loving kindness to oneself and all other sentient beings. The upshot, wearing my comparative philosopher’s hat, is that Buddhism naturalized is a serious contender, along with Confucianism and Aristotelianism, for a great wisdom tradition that offers a viable philosophy for 21st century secularists.